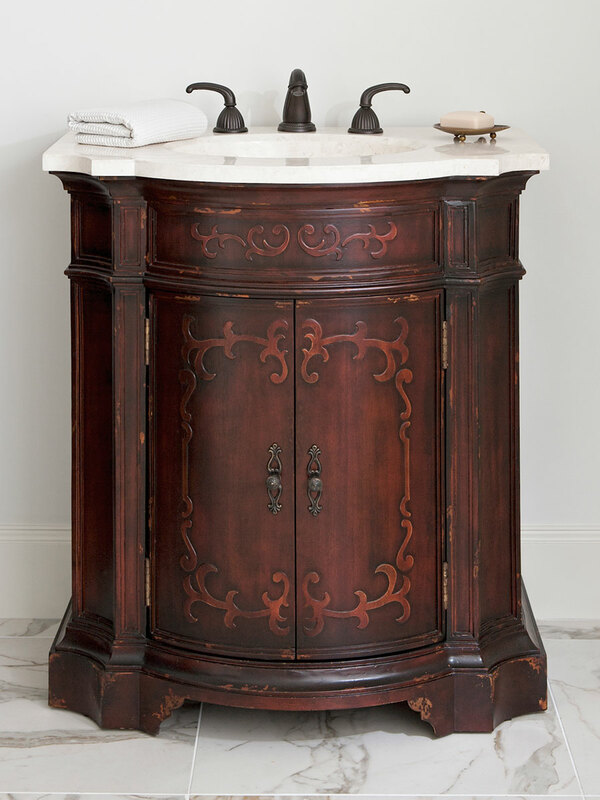 The 33" Arianna Petite Single Vanity adds a graceful elegance to any bathroom or powder room. 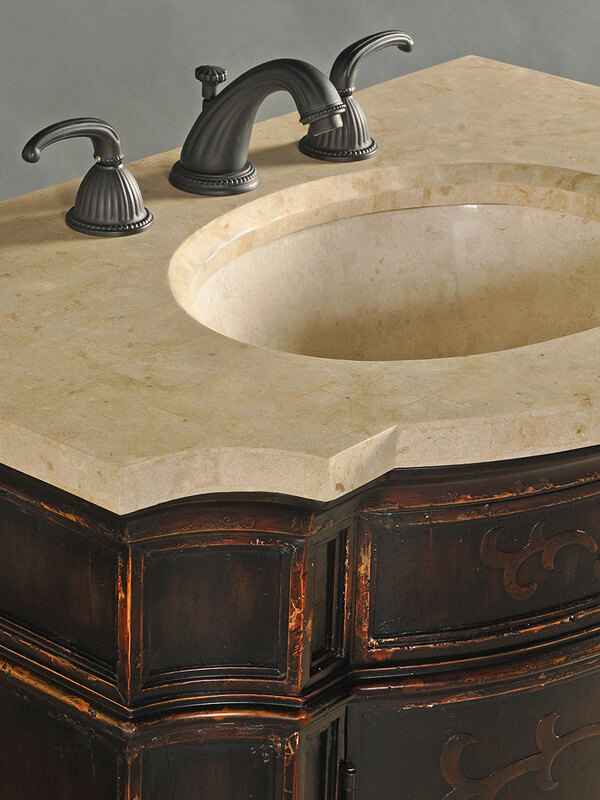 The beautiful antique mahogany finish is highlighted by the white agate fossil stone integrated sink top. The double door cabinet is perfect for storage. 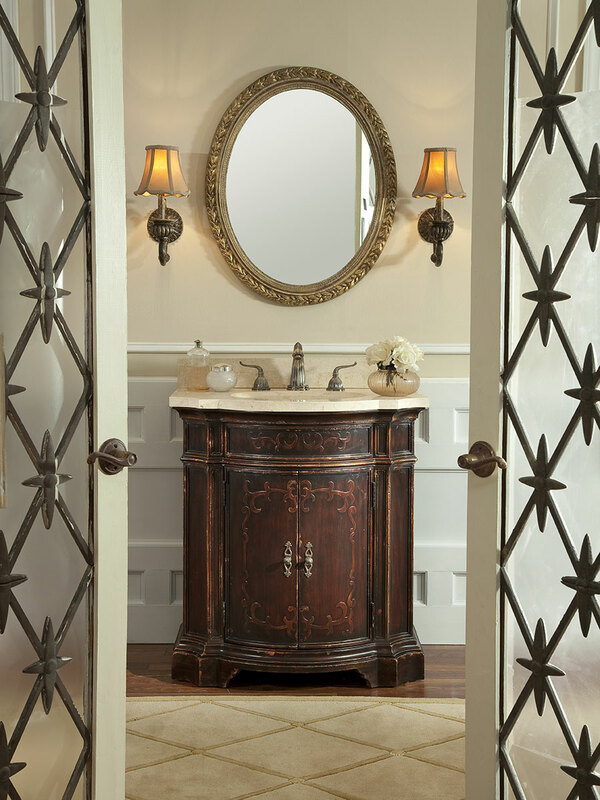 If you believe that a lot of personality can come in a small package, this single bathroom vanity is perfect for you. Faucets not included. Use with non-overflow drain system.